Air Tahiti Nui embodies the hospitality and culture of the destination it serves, enhanced by a new fleet of Boeing 787-9 Dreamliners. Boutique hotels are very much a part of the travel landscape, but a boutique airline is less common. 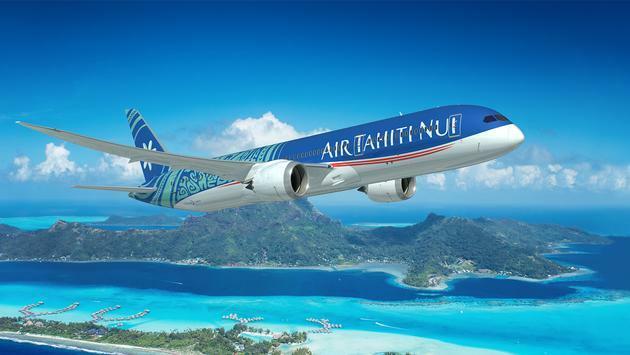 Air Tahiti Nui, according to Nick Panza, vice president of the Americas, considers itself a boutique airline. And now it’s offering only the latest generation of aircraft. Founded in 1996, Papeete-based Air Tahiti Nui is a tiny carrier compared to its competitors, but it is stepping up its game in a big way with the arrival of the first of four Boeing 787-9 Dreamliners, dubbed the “Tahitian Dreamliner.” It began operating in November on flights between Tahiti and Los Angeles, and by September of 2019 all routes and flights will be via Dreamliners. It’s a great development for the carrier, Panza said, because its entire fleet will soon consist of the newest aircraft. The carrier flies to Tahiti from Los Angeles, Paris, Tokyo and Auckland. In the U.S., it has a codeshare with American Airlines, connecting with 23 cities. It also has agreements with Delta, Alaska Airlines and Air Canada. The new Dreamliners seat 294 passengers and offer three seating options – Poerava Business cabin (full-flat seats in a 2-2-2 arrangement), Moana Premium (extra legroom, 2-3-2 arrangement), and Moana Economy (3-3-3 arrangement). The Tahiti experience begins on the aircraft. Cabin crews are all Tahitian, and passengers are given a tiare flower upon boarding. The first piece of luggage is checked free. Passengers have a choice of meals, even in economy, plus access to a complimentary Panasonic entertainment system and highspeed Internet; all alcoholic beverages are free; and every seat has a blanket and pillow, plus an amenity kit. Panza said the agent community “is very important for us and we do our best to work very closely with it.” The carrier has always paid a base commission of 3 percent and is affiliated with a number of major consortia, members of which are eligible for a slightly higher commission. 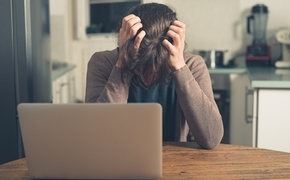 A sales team includes representatives out of New York and Los Angeles, and there is an agent section on the website for information on such topics as reduced-rate travel and commissions. Tahiti itself is doing very well with seven years of continuous growth from the U.S. market, the number-one market to the destination. Travelers generally visit two or three islands, with Americans typically staying 9.5 days, and they need an agent to explain how to mix the islands, including the best order in which to visit them. The destination is ideal for romance, honeymoon, anniversaries and other special occasions. -By September 2019 Air Tahiti Nui is slated to have an entire fleet consisting of top-flight aircraft: the new Boeing 787-9 Dreamliners. -The airline offers a host of perks, including first piece of luggage checked free, complimentary alcoholic beverages, high-speed Internet and a choice of meals in all classes. -Agents earn a base commission of 3 percent, possibly higher depending on consortium affiliation. A version of this article appears in print in the February 2019 issue of AGENTatHOME Magazine.